This weekend I'm pleased to run a guest post from author Kaitlin Bevis! (We writers of Persephone/Hades love-story retellings have to stick together, you know.) She's got a new book out in her Daughters of Zeus series: Aphrodite. And by the way, wow, do I love that cover art. Gorgeous. So without further ado, here is Kaitlin, on the delectable topic of Adonis. 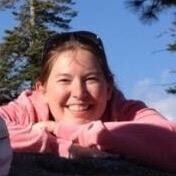 I'm Kaitlin Bevis, author of the Daughters of Zeus series. 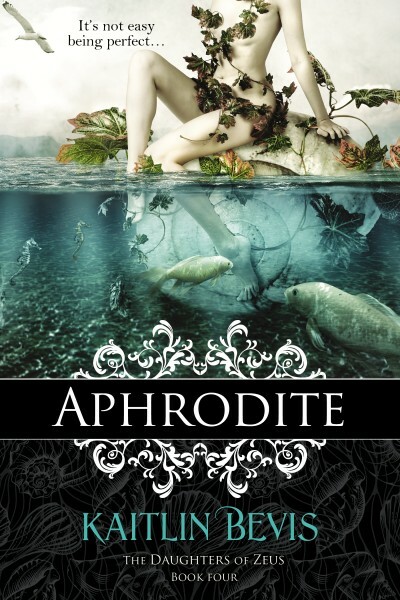 My most recent book, Aphrodite, featured many characters you'd be familiar with from Molly's Chrysomelia Stories. One of which was Adonis. Adonis is a fascinating character in Greek Mythology. So it's not surprising that both Molly Ringle and I feature Adonis heavily in our Greek Mythology retellings. What surprised me were the similarities. Adonis was inbred to the extreme. His line starts with Galatia (as in Pygmalion's statue) and continues to his mother Myrrha, who managed to piss Aphrodite off by not worshiping her enough. Aphrodite cursed Myrrha by giving Myrrha the hots for her father. Myrrha tricked her father and seduced him with the help of her nanny (seriously, don't ask for details). Her dad freaked out, and tried to have her killed, but Myrrha fled and was turned into a Myrrh tree by some sympathetic gods. Why the gods were so convinced life as a tree was preferable to death is a mystery for another day. Anyway, nine months later, Adonis popped up beneath the tree either by way of an arrow, boar's tusks, or tree labor with helpful nymphs. Aphrodite immediately fell for the infant, possibly thanks to Cupid. She handed Adonis off to Persephone for safekeeping, but Persephone ended up falling in love with him too. The women went to Zeus so he could settle the dispute, and Zeus declared that Adonis spend four months wherever he want, four months with Aphrodite, and four months with Persephone every year. Most myths agree that Adonis spent eight months with Aphrodite, but some (mostly Shakespeare) contend that he was ambivalent to her attentions, preferring the joy of hunting and killing things to the company of the goddess who got his mother turned into a tree. One day, while hunting, he was gutted by a wild boar that was possibly sent by Ares out of jealousy, or by Artemis for revenge for Aphrodite getting one of her worshipers killed, or by Apollo for sheer randomness. Aphrodite cradled Adonis in her lap as he died and flowers (anemone to be precise) sprang up where his body rested. His blood is also believed to turn the Adonis River red every year. The people who lived in the region of the Adonis River celebrated Adonis as a Dying and Rising God. They held a yearly funeral for Adonis when the river ran red and mourned, then the next day they celebrated his return to life and ascension to the heavens. There were bits and pieces of the classic Adonis myth in both retellings, and we both took extensive liberties with the story. Naturally there were many differences and reversals between our Adonis's. My Aphrodite pined for an uninterested Adonis a la Shakespeare, Molly's Adonis pined for Aphrodite. My Adonis is always pushing those around him to the moral high ground. He has really strong views on what's right and fair, and, yeah, he’s a bit of a stick in the mud. Molly’s is the original party animal. But despite these major differences, their core personalities seemed really similar. Which is insane if you read the myths. Greek mythology didn’t give us a lot to work with when it came to characterizing Adonis. He is very much the object of his myths, not a person. Another crazy similarity is that we both came back to Adonis being restored after his death and took it one step further. My Adonis (major spoiler warning) comes back as Eros (Aphrodite is the one who turned him from demigod to god in my book, so it made sense to me to make him her “son”), and Molly’s as Dionysus. Now, our books were being written at the same time, so there’s no chance we influenced each other. Kind of makes you wonder about the nature of inspiration. Where do these stories come from? Did you read both books? What were your thoughts on the two Adonis’s? * Calling any particular myth original is problematic. Greek myths featured heavily in oral retellings and the stories evolved and changed over space and time. There are many contradictory details as the myths worked their way through the world. If you see a detail that conflicts with your recollection of the myth, it is likely you were exposed to a slightly different version. Kaitlin Bevis spent her childhood curled up with a book and a pen. If the ending didn't agree with her, she rewrote it. Because she's always wanted to be a writer, she spent high school and college learning everything she could to achieve that goal. After graduating college with a BFA and Masters in English, Kaitlin went on to write The Daughters of Zeus series. Visit Kaitlin at her website, and browse all her books at Goodreads. Ask for them anywhere your favorite books are sold!